It’s been the capital of Israel for nearly 70 years. 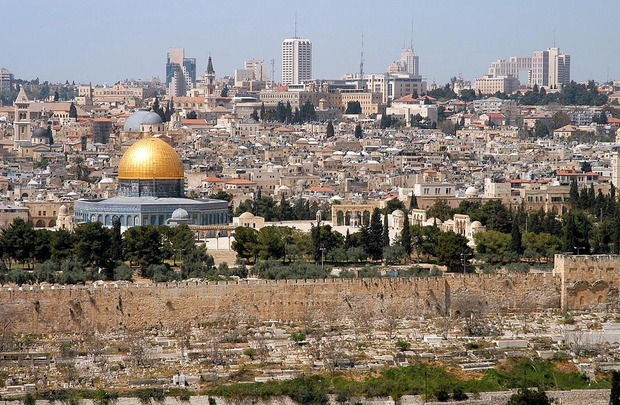 Jerusalem has been the focus of our hopes, our dreams, our prayers for three millennia. Jerusalem has been the capital of the Jewish people for 3.000 years. It was here that our temples stood, our kings ruled, our prophets preached. From every corner of the earth, our people yearned to return to Jerusalem, to touch its golden stones, to walk its hallowed streets.So it’s rare to be able to speak of new and genuine milestones in the glorious history of this city. The President’s decision is an important step towards peace, for there is no peace that doesn’t include Jerusalem as the capital of the State of Israel. I share President Trump’s commitment to advancing peace between Israel and all of our neighbors, including the Palestinians. And we will continue to work with the President and his team to make that dream of peace come true.I call on all countries that seek peace to join the United States in recognizing Jerusalem as Israel’s capital and to move their embassies here. I also want to make clear: there will be no change whatsoever to the status quo at the holy sites.The Jewish people and the Jewish state will be forever grateful.This has been our goal from Israel’s first day. Israel will always ensure freedom of worship for Jews, Christians, and Muslims alike.President Trump, thank you for today’s historic decision to recognize Jerusalem as Israel’s capital. The video of PM Netanyahu’s speech you shall find here. Read more in this debate: Christian Schnee, Martin Eiermann, Katty Kay.